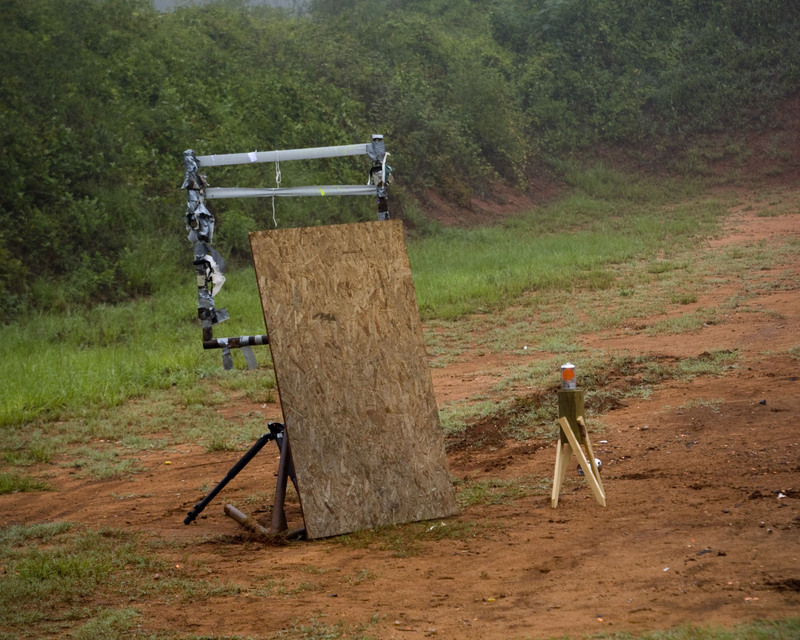 Main reason – even at 1/8000 of a second, I don’t think the bullet would be frozen in time, if it was even in the frame. 2nd reason, i need a sound trigger. Basically I had the camera down range with the remote wired back to me. I set the camera to the timer setting, counted to 10, pulled the trigger. Reason 2.5 – I can’t count worth crap….lol…I was usually a second faster than the flash on my good tries…lol. I got a few lucky shots, but not many. I was shooting my Ruger .22 mainly because I had a box of bullets. I also took my Glock 9mm, but I only had one clip of 10, so that didn’t last long. 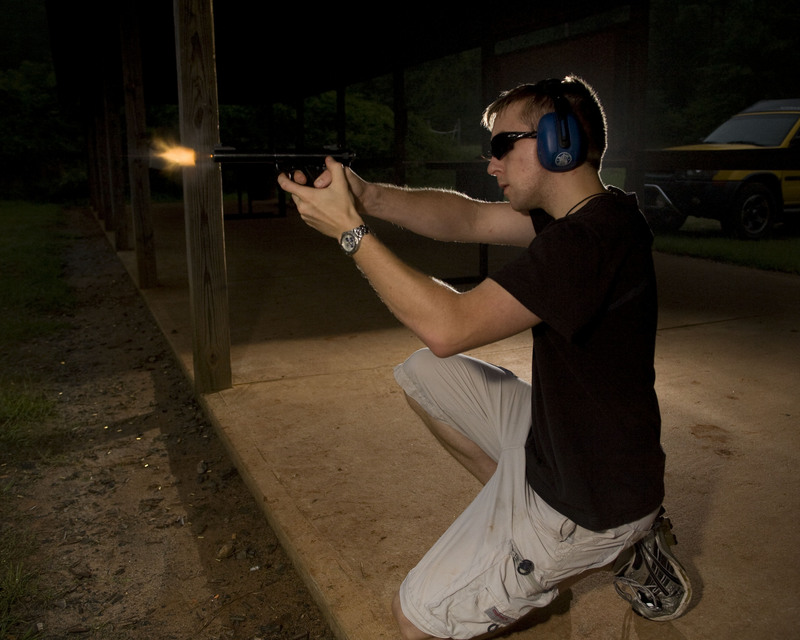 Reason 3 – I haven’t been to the gun range in a long time, and I can’t aim. Not to mention I didn’t have my contact in and my sight was wiggling on my barrel. Call it unprepared or under prepared, either doesn’t really matter, I had fun, learned a little bit, and I will try again. But anyhow, on to the pictures. Lighting setup: Down range – Canon 550EXII on light stand to camera left with TTL cord back to Canon 5D for main light. a 2nd 550 ex was placed 180 degrees in front of the other speedlight set a slave. I just used the little “foot” and put it on the ground. To protect my camera & main light ( in case i was a completely horrible shot) – I placed a piece of diamond plate steel against the target stand and then a piece of plywood over it just to help ricochet if i did hit it by chance. Better safe than killing all my equipment. Here are a few of the better shots, and there is one of me with the remote so you can see how i was doing it (not an intentional shot, but it works for demonstration anyhow 🙂 ).